Honestly, don't see it happening. I could be wrong but Barnes is building something and I don't think he has forgotten what Texas did to him. I think he stays. I could be wrong. I have no inside info just don't see it happening. This would certainly be a shocker. 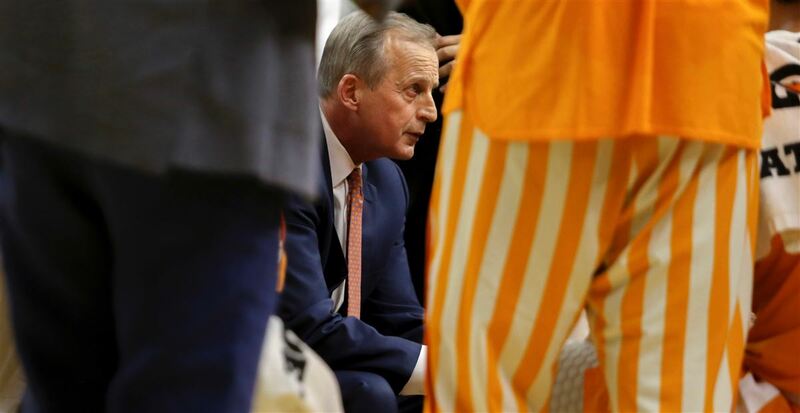 You don't have to understand why Tennessee coach Rick Barnes is acting interested in UCLA to understand that he has all the power and leverage in this situation. The hype and crap in social media is off the charts. I'm so sick of this. Honestly where has anyone seen anything from Barnes? Even Tennessee so called sports media is acting like this is a done deal. When all we really know is UCLA is interested or maybe made an offer and So? They can be interested all they want. Why all this hype and over exaggerated reporting? Clicks. Sick and tired of this crap. Wait until Barnes or Tennessee makes a statement. Social media has become to true death nail of true reporting journalism. If he leaves then all the worrying ain't gonna change it. Move on. Still, I don't see it happening. Not a good fit. Let's just wait and let Barnes makea statement though. Sheesh. UCLA HAD.... HAD A storied history. That's not a plus since they haven't been relevant in many years. They haven't been in the final four in over a decade and haven't won a title since 1995. That's 24 years. Coach Calipari said no. Barnes taking it would be like he was the leftovers SEC choice. Thinking this is being used for raise talks. I'm fine if the Vols pony up enough money and a contract to keep him in Knoxville. It's a business decision after all. I wonder if at age 64 Barnes would start all over from scratch to build a program when he's done it in Knoxville and has plenty of time and cred to build on it.